Despite tough trading conditions and political uncertainty, many small and medium-sized enterprises (SMEs) remain confident about their prospects and are more optimistic about the future than they have been for some time. Indeed, the number of start-up businesses in the UK is at a record high. But how do fast-growing companies fund their ambitions for the future, at a time when bank support for SMEs is declining, according to Bank of England statistics? Venture debt could be the answer for high-growth, innovative businesses with strong revenues, a run rate of more than £3 million, and a business model with excellent prospects. Venture debt provides an attractive alternative to equity finance, as it offers funding without the need for equity dilution. And because it can provide more funding, faster, earlier in the business lifecycle, and without the use of fixed criteria, ratio testing, or covenants; it also provides an appealing substitute for traditional bank financing. Instead, every venture debt loan is individually designed for each company, depending on its needs and circumstances. Funding is typically between £1 million and £10 million, and is repayable over three to five years. When evaluating whether to invest in a company, BOOST&Co focuses on the business’ enterprise value and business model, rather than its historical financial performance. This means that, while businesses must be generating significant revenue to be eligible for venture debt, they needn’t be profitable. A venture debt loan can therefore be a useful source of headroom for a loss-making business as it closes in on profitability. Carefully managing cash flow is crucial for high-growth businesses yet to break into profit. But they still sometimes need to raise funding for working capital needs, such as stock purchases. In cases where such requirements vary by season, it can be particularly difficult for relatively young businesses to manage. The flexibility of venture debt makes it well-suited to this purpose. High-growth businesses often struggle to fund the investments that would secure further growth, such as equipment purchases or the cost of software licenses. 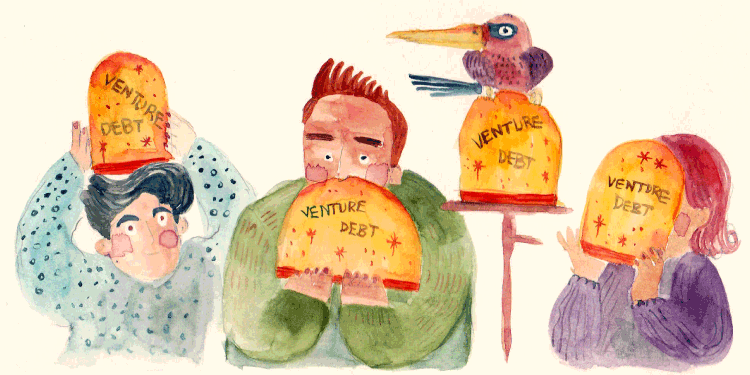 Venture debt can be a handy tool in financing such investments. This is because lenders are prepared to provide funding on the basis of the business’ growth prospects following the investment, while banks are less likely to offer such support. Venture debt loans are also offered in tranches, which enables the SME to plan for future investments. Fast-growing businesses often plan to increase the speed of expansion by implementing a growth strategy based on mergers and acquisitions. However, this model requires that finance be in place to allow for rapid response when new opportunities arise. Once secured, venture debt can be drawn down over time – making it perfectly suited to acquisition growth strategies.